Adelaide blog.Local and daily news. Opinions about current events in Adelaide, Australia and around the world. My Talk of the Townn blog has now moved to its new address : The Talk of the Town. This was my first blog and I am very grateful for Blogger getting me up and running with what is now very much a part of my life. I have 3 blogs at Wordpress and so have now shifted my Blogger blogs so all my blogs are in one place. it is just easier for me that way now. I have been appreciative of the fact that Bloogger and Wordpress could work so well together . If you want to know how I did it please read this post: Shifting blog from Blogger to Wordpress.com . I hope you will continue to follow this blog in its new home. There not only has been increasingly hideous congestion at the Oaklands Crossing , there have been attacks and deaths. It is just an awful place to be when the boom gates go down. Marion Shopping Centre and increasing housing development and now the beautiful, new swimming centre have put the crossing on overload. I have used the crossing forever in my north south commutes or , now , my south north ones. My daughter and her husband live near the crossing. Sometimes it would be quicker to get out of the car and walk to her place than to sit there on Morphett Road waiting to turn left. Coming out of Murray Terrace relies mostly on the goodwill of the drivers letting you in so you can get into the right lane and I need to be in the outside lane. If I don't get into that then I am driving around Marion Shopping Centre to get myself back on the right track.I just do it. It makes people very annoyed but I don't see that as helpful so I keep listening to my music and podcasts and hope it will all pass quickly. Living in the area would be worse. I have to do it about once or twice a week, maybe. If you have someone sick it really puts the pressure on. I have to say that Adelaide drivers have mostly shown patience. tolerance and common sense with this crossing. It really does need to be changed right now. It blocks a free flow of traffic and that is never good. Adelaide always had traffic which flowed smoothly and it is something we should aim for in our relaxed city. 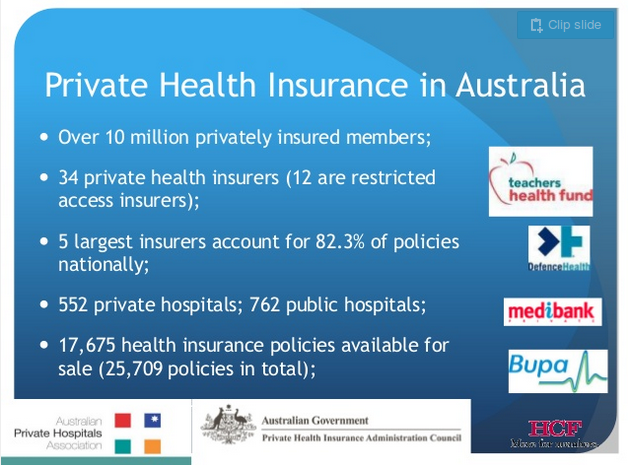 Many people are surprised at how much extra they have to pay when they use their private health insurance in hospital. By contrast, there are few, if any, additional costs in the public system. And many people don’t really know what they’re getting when they purchase private health insurance. That article was written 3 years ago and not only has it not changed, it has become very worrying and disturbing. Private health insurance was never like that. It originally covered the gap or nearly covered the gap. That's why we took it out . Those of us who could afford it took out private health insurance and knew we would be able to use the private health sector and allow the public system to help those who had limited or no income. Some took it out as a way to feel superior but most of us didn't. I have paid private health cover for over 40 years and this is the first time I have become increasingly concerned. It doesn't cover costs at all. There are sizeable out of pocket expenses and treatment for something serious in the private sector would become prohibitive and downright scary. You just don't know what you are in for. I have had 3 hospital stays in my life in the private sector. They were covered. I doubt they would be now. Getting new glasses costs me a fair bit and the other week I had a filling repaired and I got $95 of the $200 fee back and I belong to what is considered one of the best funds. As someone who is moving into the pension sector which I'll partly fund myself I am finding this very difficult. I am not the only one. It really has been the talk of the town. We are all wondering if we can afford to be in private hospital cover and whether it will be worth it because we won't have the means to pay gaps any more. So much for doing the right thing. Then you add that to the medical rearrangements in Adelaide and it's horrible and scary and we don't understand what is going on at all. GP Clinics are supermarket clinics. You cannot always get in to see your own doctor so you choose a GP clinic. So far my daughter has had a dislocated finger left untreated and told to take panadol and use an ice pack. She had tonsillitis misdiagnosed, a friend had her flu misdiagnosed and ended up in hospital. When my daughter got chickenpox in her 30s she luckily could get in to see her own doctor. There are some great doctors in the GP clinics who really understand health care. There does not appear to be enough of them and the approach and process need to be looked at because we are not getting health care. Nor do we know what to do about hospitals and emergency situations. Do we all go to Flinders and RAH? That will overload those two hospitals and it have serious consequences for outer suburbs people. Time=life in a severe medical scenario and being transported in an ambulance for 30 or 40 minutes or more is not helpful. So what do we want? Private Health care which covers us and does not give us impossible financial situations to deal with. Access to quality medical care no matter where it is. By all means layer the system and work out the filters for serious, not so serious, really serious and tell us how to do it. Go here if you have a cold. Go here if you broke your foot. Our system needs an overhaul, yes, and we need information . We also need to be treated as people and not bank accounts. 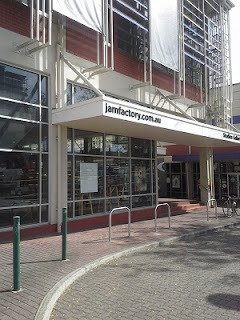 It was a real pleasure to find myself at the bottom of Hindley Street and visiting the JamFactory. Like everything else in Adelaide , this end of town has been reinvented too and it's starting to look and feel really cool. It was great to see how focussed the glass makers were . They have to be. They are dealing with molten glass and their loving care was obvious but paramount to their safety too. The exhibition of shell jewellery was lovely. I have seen a lot of shell jewellery in South Pacific nations and ours was just so delicate. The other display areas housed some beautifully made objects at what were reasonable prices for such carefully conceived pieces. Back up the road from the JamFactory is The Adelaide College of the Arts. I am so glad they have settled on that name! It has been through a number of name changes and they didn't ever quite do the job. This one is simple , straight forward and nails it. I must go and have a closer look at some time because it seems to have lost its industrial look. It is a very well respected art school and always has been. It was interesting to walk down Hindley Street this morning. It gets a bit tacky but not brash like it used to be . During the day it has an interesting rather than unsavoury feel about it. The Woolshed Hotel looks spectacular. They have done a brilliant job on the facade. I walked from the Arts College to the JamFactory and wondered why they had massage parlours on that side of the road. Out of place, unseemly looking and away from the feel of what is now becoming a very artistic and creative end of town. The Mercury Theatre fits right in and so it could be further be developed to be a really cool area for artistic innovation and expression. You see the Nove on Luce cafe in all its aesthetic glory and then a massage parlour which is a bleak and stark contrast and spoils the feel of the area. The massage parlours and so on can exist elsewhere. Let that area just be developed by our creative spirits. No reason why we could not have the more new age places for relaxation and therapy. I have finally got my act together and edited the video I took of the Popeye cruise. I blogged about it before in the Adelaide is beautiful post. Adelaide is beautiful. The cruise takes 40 minutes and it is a very relaxing , interesting trip along the river. This was taken in the middle of February in our summer. It really puts paid to the notion that Adelaide is hot and dry in the summer. The people who care for our city centre have done a great job of keeping everything green and neat. You can see Adelaide is a green city and that we have some lush vegetation. It is what makes Adelaide Adelaide. We have 3 Popeye cruise boats and towards the end of the video you can see one of them moored waiting for its turn to go out. I'd love to see more people going on the Popeye because it is such a good way to see our city but even if you live here, as I do, it is the best way to get away from it all and just watch all this watery world go by. 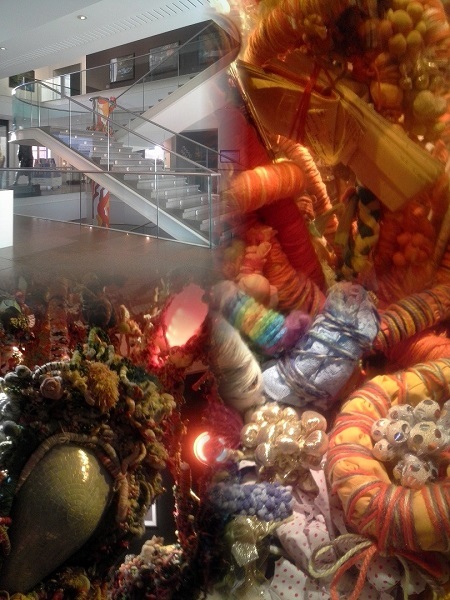 Today I went to the Magic Object exhibition at the SA Art Gallery on North Terrace. It really was magical and a fabulous use of space. There were installations, images, ceramics, textile art and paintings by Australian artists all of whom really understood Wunderkammer and who also had a wonderful appreciation of illusion and inspiration. The curator of the exhibition had done a great job of placing the art works ,selecting the artists and annotating the exhibition. It is one of the best exhibitions I have seen at the gallery - at any gallery for that matter - and it was free. I am particularly fond of textile art and so the textile installations were just wondrous to me. The detail, the colour, the shapes and forms all created something mythical and magical. It really is worth seeing and it has a good impact. What was interesting was that everyone was as compelled as I was to go up really closely to the pieces to examine them and see how they were made. It had that close up and personal feeling about it. That is unusual. People often keep a respectable distance from art pieces. This time it was a respectful closeness which brought about wonder and admiration. So glad I went. I take the train to town to go to the markets. It is ocean views there and ocean views back. Such a lovely trip. I then do the 15 minute walk up to the markets. Keeps me fit. I have a big breakfast and a mug of coffee at the Big Bean and then I am set to look and wander. It is always so nice and there is always something new to see and try. I love the French cheeses and the magnificent array of fruit and vegetables. I love the coffee beans and the cold meats. There are so many good quality things to choose from. I always stop at the Honey Shoppe. They sell honey, obviously, but also good quality soaps and lotions and potions. There is always something in there I want to try .The products make great gifts. What do you do in Adelaide? National Geographic has created a 2 minute video about South Australia. I sometimes see koalas and kangaroos and I live in the outer suburbs. I see the hills on one side and the ocean on the other no matter where I drive around here. The views are spectacular. We do what we want but we have a chance to enjoy nature and so lots of South Australians bush walk, bike ride, surf, snorkel , skateboard, sail, fish. We can be pretty active. We like walking our dogs, going to the coffee shop, shopping. We like helping others so we volunteer when we are called or we just volunteer anyway. We like road tripping down the coast or around the wine regions. We like camping, family nights, fun nights, reading. We are big readers. We love music and art. We love gaming. The South Australia Facebook page gives you a really good overview of what it is like here. We have the time and space to do what we want and be what we want and pursue our passions and interests. On the other hand , we might just veg out in front of the TV or out the back. 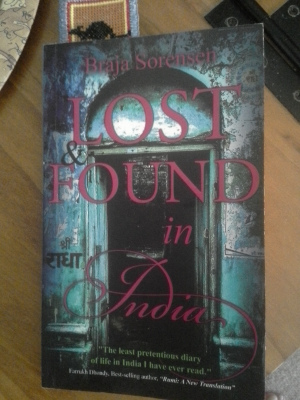 Braja Sorensen was born on Bombay Street near the Warradale Army Barracks and she now lives in West Bengal. She is a well respected author , poet, editor and then there are all the other things Braja Sorensen is. A woman of talent and creativity who loves India because it has brought out all the aspects of her personality, character and creativity. Lost and Found in India is from her blog and so there is a certain stream of consciousness about it which I really like. It is fresh, well written, makes interesting observations and then allows you , as someone who does not really understand the culture, some real understanding as to how India puts together its vast culture wealth on a daily basis. Her writing style is animated and well thought out. She draws you in because the tone is conversational but as she reflects on different aspects of our culture and the Indian way of life then you feel like you belong in that conversation with her. It contextualises her in that culture and looks at how the Indian culture has impacted on her and she on it. It's a book which does a lot for intercultural understanding but also a book which is just a very good read.